RP Series pulling cylinders are ideal for pulling and tensioning jobs. Available with either a 2 ton or a 5 ton capacity, the heavy-duty compression spring ensures a lengthy cycle life and rapid extension of the piston. The spring automatically extends the piston rod when the pump pressure is released. 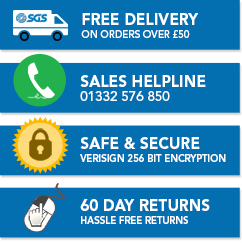 Here at SGS we take pride in helping our customers find everything they need to get projects completed successfully and without breaking the bank. All the pulling cylinders for sale in our online store are available at affordable prices yet still deliver the same great quality and power required for all manner of applications. Whether you only need a hydraulic pulling cylinder for a one-off occasion or require it for regular use, the opportunity to buy or hire such tools is possible at SGS. A variety of different types can be found within our selection so you can rest assured that we have something suitable for your purposes. 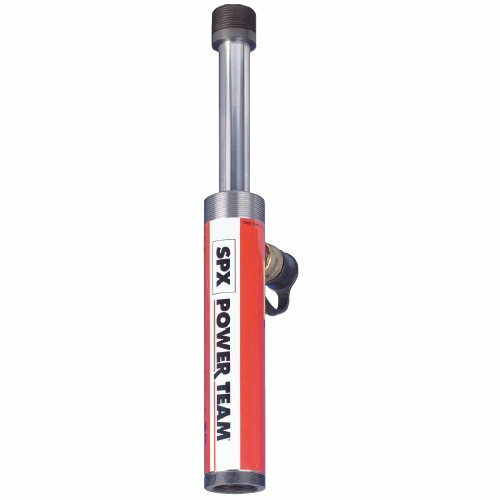 Every hydraulic pulling cylinder we stock comes from industry leaders Power Team. This means they are all covered by the Power Team Marathon Warranty and are manufactured to the best possible standards. Each one comes with a lengthy guarantee of both quality and lifespan. We care for our customers and want to know that they’re fully catered for when looking for and buying a pulling cylinder. That’s why if you’ve got a question you can easily get in touch with our friendly team in the technical department by calling 01332 576 850. They can answer any queries you may have.